What's this weeks theme? Gardening? Really? I need to come up with something to say about gardening. Ummm...ok. Nobody blame me for going the "when in doubt, upload all the pictures you can" route. So, gardening. Um, I don't do it. Nope. I'm no good at it. Don't believe me? Here's a picture of my current dead house plant. That's what happens to plants when they spend any prolonged period of time around me. Imagine if I tried for a whole garden. It would be unconscionable. 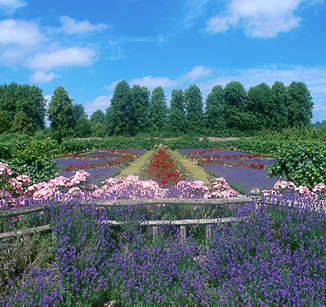 Now, I like gardens, big public gardens. The Japanese Tea Garden in San Francisco is a favorite. I have a soft spot for the Oakland Rose Garden. I was married there. 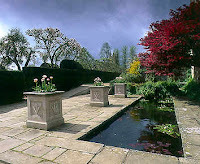 I troll the google image looking for photos of long ago, far away gardens to fire up my imagination. Places like this. Pretty, right? No doubt cause I'm not in charge of watering them. 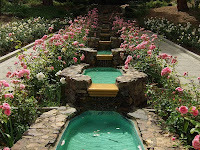 how did i not know you were married in the oakland rose garden?? that is one of my favorite places. i plan to be the old lady who putters around pruning and muttering there someday. 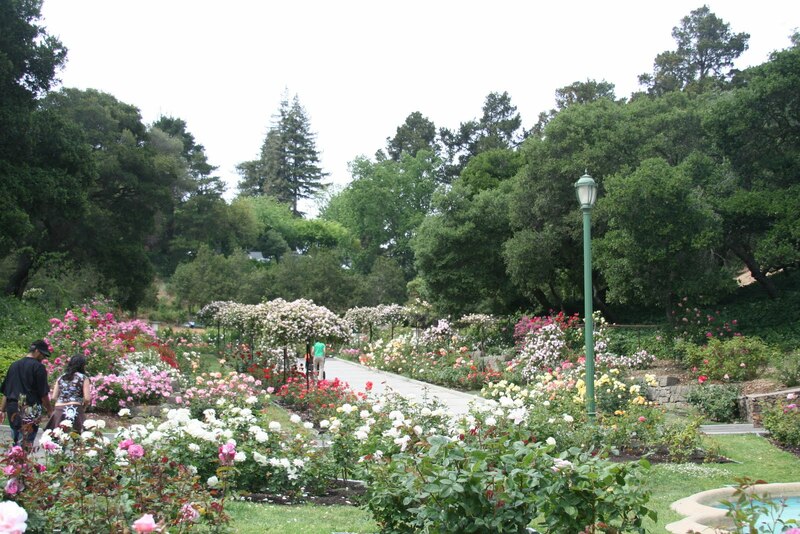 I didn't know about you and the Oakland Rose Garden, either! I live just a couple of blocks from there, and I consider it one of Oakland's hidden gems. A great place to get married! I've actually married people there. It's a wonder I didn't run into you as a bride, Adrienne! The only gardening success story Adrienne and I ever had was when we lived in our first tiny apartment in Oakland, just spittin' distance from the Rose Garden. We bought a globe shaped planter from the giant Longs drug store in town that was a little bigger than a basketball (the planter that is.) It was full of all sorts of different little plants and and had moss on the bottom. We called it 'West World', after the Yul Brynner movie and hid an action figure of Ian Malcolm (Jeff Goldblum's character from Jurassic Park) in the middle. It sat on top of our microwave, next to the window, it was clearly the center piece of our place. We loved it and even remembered to water it and it thrived for the entire time we lived there. After that it's been like Adrienne said: if it lives in a pot and we own it, it's doomed.